Yesterday I didn’t blog and don’t feel bad. After all, I get obsessive about work and I miss the point. Today, I went gardening. It needed done. And it reminded me of other yesterdays. 1998-2000 when I was working for New Horizons, a a job scheme were those with mental ill health were asked to perform some useful service in lieu of being framed for some crime by the tabloids. Government scheme, £4.15 for four days work. It was a good job. The physical relief of exercise and sweat while pushing a mower around elderly folk’s homes. 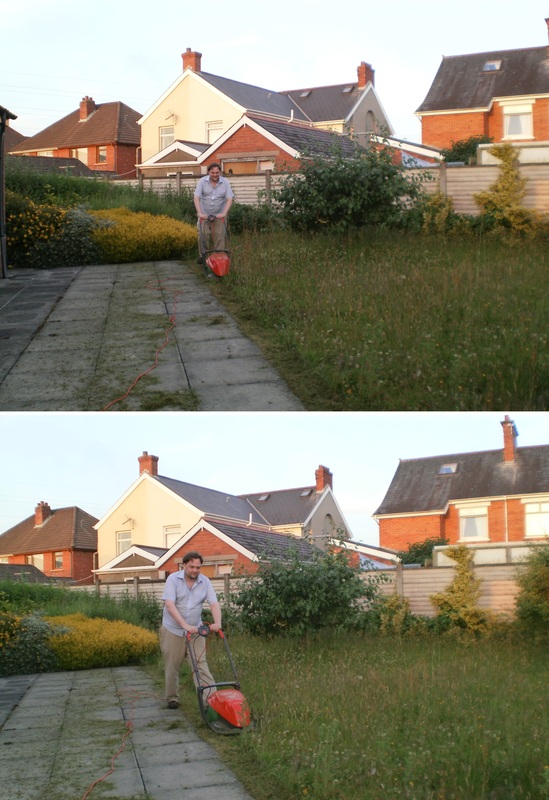 We were gardeners, or horticultural engineers, but mostly we just mowed the lawn. It was a good crew of lads. Some of them were dicks, some oddballs, but most or all were great. Those times were good. So as I turned the mower around this evening, I enjoyed a sense of those glory days.